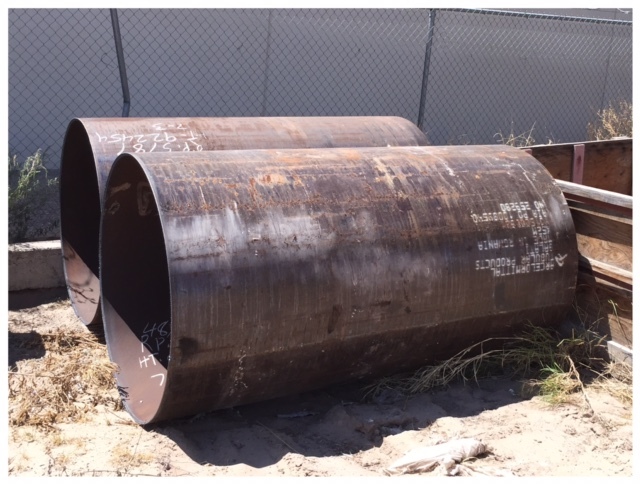 We've got two pieces of 48" x .500 Wall API 5L X52 DSAW Pipe available for sale. These are 7' drops from double random lengths, Bevel x Plain end. This is New Pipe made by ArcelorMittal Tubular Products in Romania. We have Mill Test Reports on hand. Price is $1400.00 each FOB El Paso, Texas. Call 915-203-4342 or email djstrasser@gmail.com if any interest. Subject to prior sale.